The author of the “Keeper of People’s Memory” book is Director of ANAS National Museum of Azerbaijani Literature after Nizami Ganjavi, academician Rafael Huseynov. 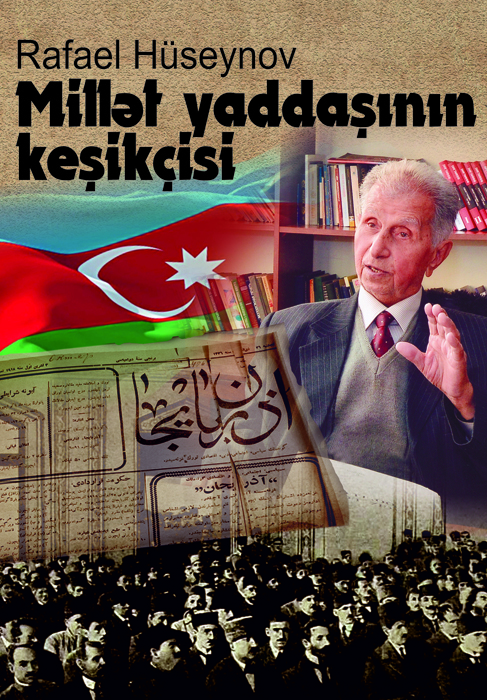 The publication is dedicated to the life and work of one of the prominent representatives of journalism in Azerbaijan, a journalist, a textologist, a press scholar and researcher, Honored journalist, Professor of Baku State University Shirmammad Huseynov. The book narrates about the role of a prominent scientist in studying the heritage of the founders of the Azerbaijan Democratic Republic. He created a reliable basis for the study of the personalities and heritage of Hasan bey Zardabi, Mammad Emin Rasulzade, Uzeir Hajibeyli, Alimardan bey Topchubashov, Ahmad bey Agayev. Professor S.Huseynov gave priority to the disclosure of reliable facts, events, problems and personalities in scientific research and creative activity. The book is intended for the scientific and literary environment of Azerbaijan, as well as for a wide range of readers. ©All rights are reserved. Citing to www.nizamimuseum.az is necessary upon using news.